In August 2016 the FAA updated the regulations on the non-recreational use of UAS (unmanned aircraft systems) or drones. It has now become easier for roofing contractors to utilize drone technology while staying within the laws. The new drone regulations are quite beneficial to the roofing industry. Let’s look at how the use of drones can save money and benefit your roofing business. Inspecting- You will be able to take imagery of the entire roof and show the homeowner it's condition first-hand. Whether it is a thermal imaging inspection to check for leaks and wetness, or photos that show missing shingles or broken pipes. Drones are especially valuable for inspections of extremely steep roofs. Using a drone for roof inspections reduces the risk of death or injury from a fall. Once the drone inspection occurs, you have the ability to use collected information to review with the home-owner any problems and explain how you can fix them. Measuring- Drones equipped with the proper mapping software can also save you time and money by gathering measurements in a timely and safe manner. You will also gain a broader view of the workspace. Professionalism- Drones could help you to look more professional in the client’s eyes. You will stand out from the competitor. Using a drone to gather your information quickly will be impressive to a potential client. Not to mention the pictures and videos you'll be able to show them. Marketing- Using before and after photos/videos will be a powerful tool for your website and marketing outlets. Potential clients will be able to see the high-quality work you are able to do. 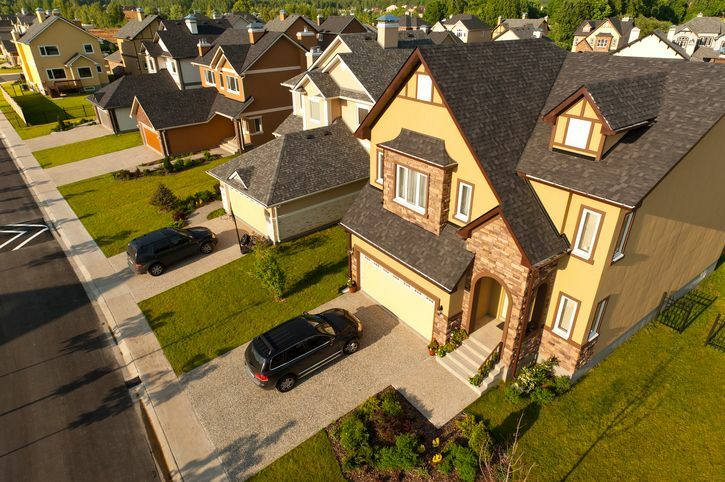 There’s a reason that drones have played a big part in real estate marketing. There’s no denying the flare drones bring. Recruitment- The ability to advertise to potential new hires that there is no need to frequently climb onto steep roofs could turn you into a more attractive company to work for. This safety advantage will help you attract and keep valuable employees. Savings- Finally, and maybe the best part of using drones in your roofing business, saving money. You will no longer need to dispatch trucks with ladders and a crew of workers to do an inspection. So, think of all that money you will save on gas and labor. Measuring a job will take less time, and allow your employees conduct more inspections and estimates per day. You will want to make sure you are aware and up-to-date on all the UAS laws in your area. Make sure to practice and become familiar with your drone before taking it out.